IAES is located on the ground floor (Columns Courtyard), Faculty of Economics, Business and Tourism Sciences located in the Plaza de la Victoria, 2. 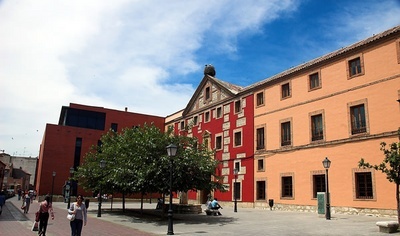 Part of the historic University campus, located in the center of the city of Alcalá de Henares (Madrid). Intercity bus: From Madrid "LaContinental", lines 223 and 229 From Avenida America Station (Madrid) stopping at Plaza de Veinticinco Villas (opposite to the gas station). RENFE commuter train: Access to the city of Alcalá de Henares from Madrid or from Guadalajara in "Alcala de Henares" station, 15 minute walk from the Faculty. The travel time from the Atocha station is 35 minutes and the trains frequency is about 10 minutes. 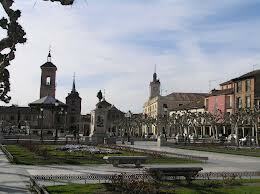 By car : Access to the city of Alcalá de Henares on the A- II ( Madrid- Barcelona motorway). Take the turn at Km 23 ( Loeches -Alcalá de Henares M- 300. Moving around the city: General information can be found in the center of Alcalá de Henares, very close to the Plaza de los Santos Niños, so that displacement can be done by walking. If you need further information please contact to Tourism Alcalá de Henares.